Making an impact in real life Mentors matter! 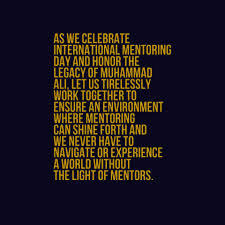 This Friday is the INTERNATIONAL DAY OF MENTORING. What are your plans for that day? Are we going to be a global trending topic?